Two senior partners at Witt/Kieffer, Lucy Leske and Dennis Barden, will co-lead the Stetson University presidential search. A veteran of president search processes, Leske has written extensively on leadership transition and assessment, professional development for women and underrepresented leaders, and staff recruitment and retention. She played a key role in developing Witt/Kieffer’s international higher education practice. Barden brings nearly 40 years of higher education experience to his search practice, and has played a central role in almost 400 of the firm’s searches across higher education, in the non-profit sector and in healthcare philanthropy. He is a recognized thought leader in higher education and a popular speaker and panelist on the topic of leadership in higher education. For 50 years, Witt/Kieffer has been a leading executive search firm dedicated to identifying outstanding leadership solutions for organizations committed to improving the quality of life. The Education Practice has extensive experience in recruiting presidents, provosts, senior advancement officers, deans and directors of major academic and administrative units such as finance, enrollment management and student affairs. Witt/Kieffer consultants have worked with hundreds of boards and search committees in the pursuit of academic leadership. 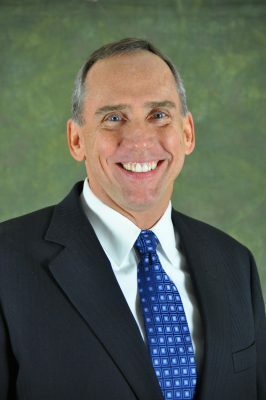 The search committee established a website to keep the Stetson community up to date as the process moves forward at www.stetson.edu/presidentsearch. Witt/Kieffer asks that all nominations, applications and expressions of interest be sent to StetsonPresident@wittkieffer.com. The 15-member committee met earlier in April to review potential search agencies and interview principals at each agency. Stetson University President Wendy B. Libby, Ph.D., announced in February that she would be retiring in June 2020.